Summer University is organized for international individual students or group of students. Registration for Summer 2019 are open. 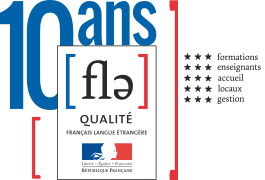 4 weeks program : from August 5th to August 30th 2019 (82 hours). 2 weeks program : from August 5th to August 16th 2019 (41 hours). 2 weeks program : from August 19th to August 30th 2019 (41 hours). 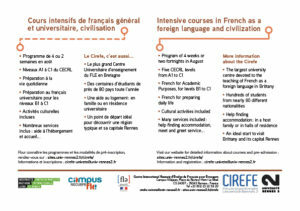 The program combines language, culture and practical life to facilitate adaptation to everyday life in France and the academic background in French for international students (CEFR levels B1 and B2). 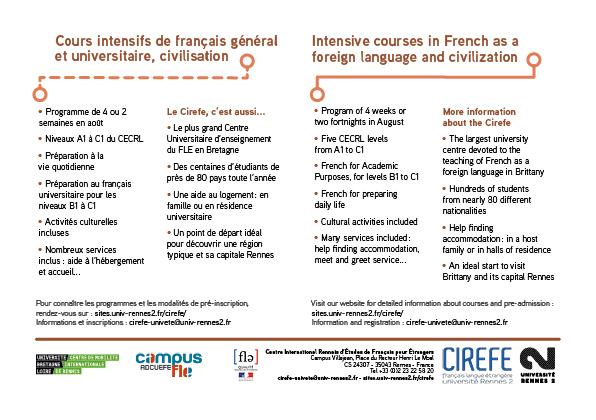 Students who already studying in CIREFE in 2018-2019 are eligible to a 10% discount. Fees include: mandatory courses and cultural activities, access to various services (help with accommodation, access to the University restaurant, wifi on campus …). Fees do not include : reception on arrival, transport, accommodation and catering costs. Accomodation possible, subject to availability, please contact us. –728€* single room in a host family, full board (lunch at the university restaurant), for 28 nights. 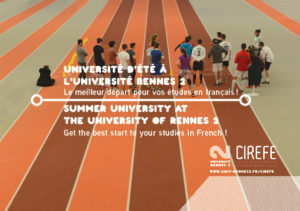 Registrations for Summer University 2019 are open. Online level test for registered persons will be open starting monday 27th of may 2019. 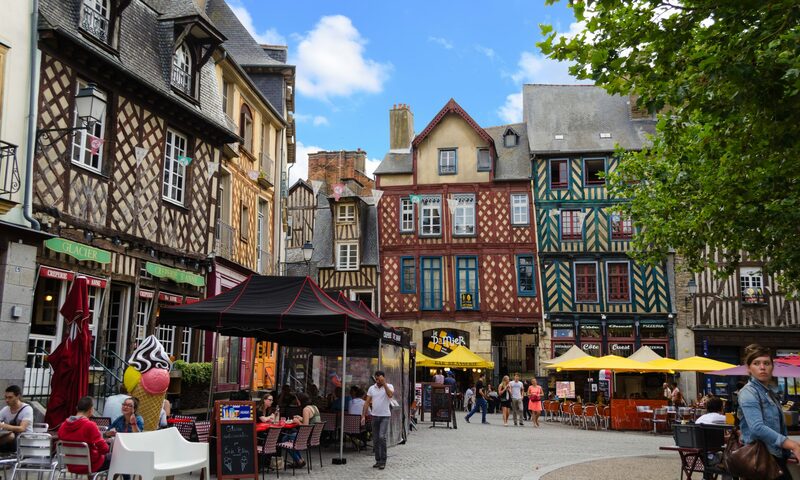 The university is close to the center of Rennes, 20 minutes walking, or 5 minutes by metro (Villejean-University station). The railroad (SNCF) and bus stations are directly connected via metro to the University. 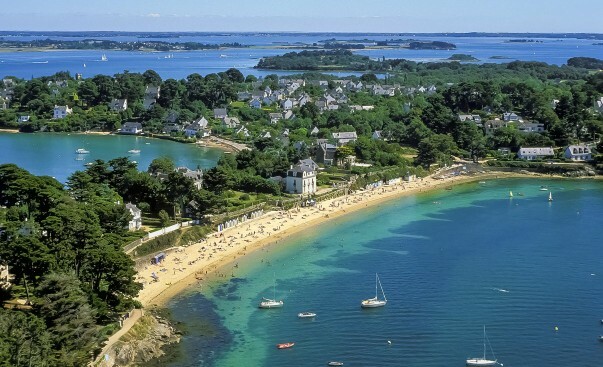 -Rennes is one hour from the beaches of Saint-Malo and Mont-Saint-Michel, 1h30 from Paris by train. Theres is also a shopping area nearby. Login IDS will be provided upon arrival (Wi Fi and computer labs).